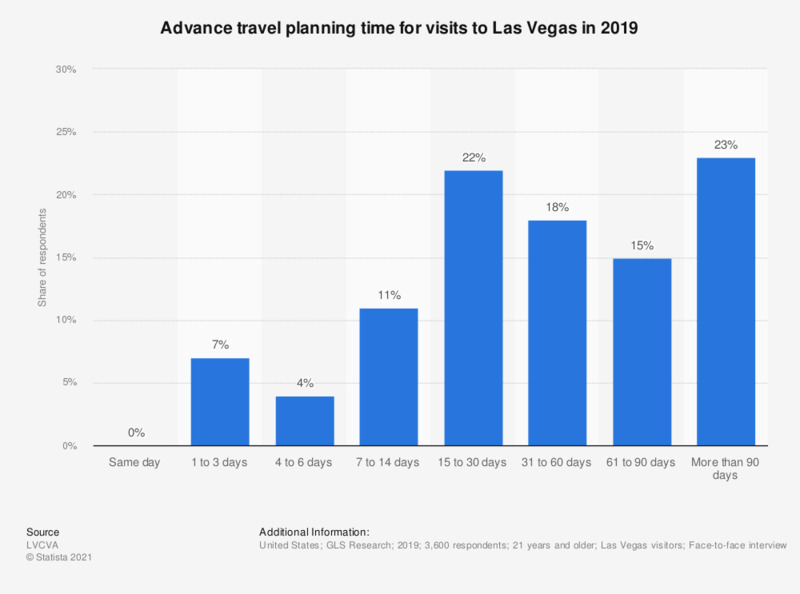 This statistic shows the advance travel planning time for visits to Las Vegas among visitors to the city in 2017. During the survey, three percent of the respondents said that they planned their trip to Las Vegas one to three days in advance. Only visitors who planned to leave Las Vegas within 24 hours were asked to complete the survey. What percentage of your travel planning is typically done using each of the following before you leave for your trip? To what extent do the following facilities play a role in your decision to visit the city center more often in the future? What percentage of your travel planning is done using each of the following while on your trip?